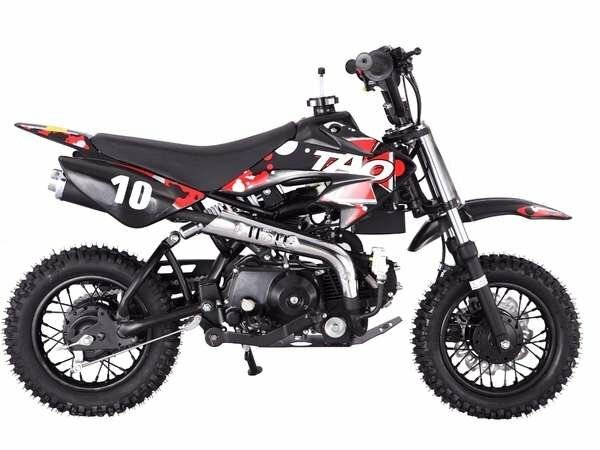 The DB10 110cc kids dirt bike is one of newest models designed specifically for beginning riders. The DB10 includes all the same features as full-sized off-road motorcycles like reliable CDI ignition, front disc brake and electric start. The smaller, lighter frame, 26 inch seat height and automatic transmission are just right for little ones just learning to ride. All-terrain tires and a full suspension with a ground clearance of more than 6.5 inches make trail riding fun and easy.